Dr. Jay Lee is a great thoracic and cardiac surgeon in Los Angeles, California. 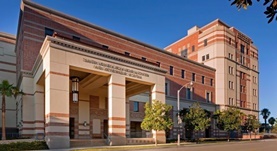 He got his medical degree from David Geffen School of Medicine at UCLA and did two residencies, one at Georgetown University Hospital and one at Duke University Hospital. He continued his medical education at Brigham and Women's Hospital where he completed his fellowship in thoracic surgery. Dr. Lee is certified by the American Board in both surgery and thoracic and cardiac surgery. 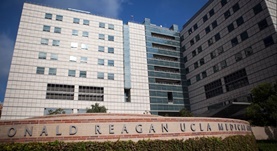 He is affiliated with UCLA Medical Center at Santa Monica and Ronald Reagan UCLA Medical Center. Dr. Jay M. Lee has contributed to 3 publications. Fishbein, G. A.,Grimes, B. S.,Xian, R. R.,Lee, J. M.,Barjaktarevic, I.,Xu, H.; Hum. Pathol.. 2015 Nov 04. Combination Treatment with Apricoxib and IL-27 Enhances Inhibition of Epithelial-Mesenchymal Transition in Human Lung Cancer Cells through a STAT1 Dominant Pathway. Lee, M. H.,Kachroo, P.,Pagano, P. C.,Yanagawa, J.,Wang, G.,Walser, T. C.,Krysan, K.,Sharma, S.,John, M. S.,Dubinett, S. M.,Lee, J. M.; J Cancer Sci Ther. 2015 Nov 03. TLR3 agonists and proinflammatory antitumor activities. Sharma, S.,Zhu, L.,Davoodi, M.,Harris-White, M.,Lee, J. M.,St John, M.,Salgia, R.,Dubinett, S.; Expert Opin. Ther. Targets. 2013 May.